We had four presentations today, in three different places, so it was quite tiring today but also truly enriching. This morning we visited a school and performed two presentations back to back to some children who were visually-impaired, and some who weren’t. All were incredibly enthusiastic though, and knew so much about the music we played. I was so impressed with the level of their English; we didn’t even need a translator. They understood and listened intently, and at the end of each presentation, one student would stand up and thank us for coming and playing for them. Some even came back to our warm-up room and played for us a little. Whilst they were playing, I was reminded of what this programme is really about. The mission is not only to share music with those who would not have had exposure to it, but also to interact, communicate, and exchange. That is where the human connection is important. The wonderful thing about music is that there really is no language barrier. Some of those who played, being visually-impaired, were quite remarkable not only in their skill on the violins (having only played for a short time) but also in their resilience and confidence to communicate through their instruments. It is not often that you see even professional musicians that are willing to be so open and vulnerable. We then ventured to what is called a Peace Village. Upon arriving, I saw hospital beds and seniors, and assumed naturally that it was a medical center. We ended up playing for mostly disabled children and staff though. This would be the place that these children lived during the week, and were taken home by parents on the weekends. The community was so warm and open with us, and I couldn’t help but feel touched that such a place existed. This was a place that all ages would reside and peacefully coexist, no matter what the social, physical or financial challenges. The people live simply but happily, and it really makes one wonder whether all the other superficial things in life truly matter. Lastly, we visited an after-school music center for kids aged 7-14. I was absolutely gobsmacked with how patient and well-behaved they all were. They seemed so passionate about the music we played and even sang a Simon and Garfunkel number for us at the end! All in all, a wonderful day. 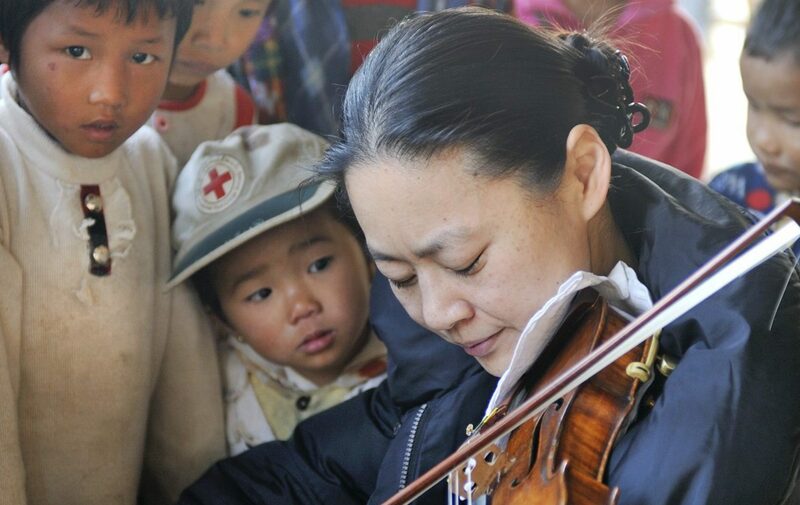 Playing for children in all walks of life, and seeing how they responded to the music; it made me inspired to do more, to see more and to share more. If this is not the goal as an artist, then I don’t know what is.